Hi, I’m Summer! If you are anything like me, you have decorative tastes that don’t always match a limited budget. With a little time, energy, and great places like Bud’s Warehouse, I can make my house look like a page out of a Pottery Barn catalog for pennies on the dollar! Feel free to follow me on Pinterest and keep checking me out here on Bud’s Blog for more great ideas and tips to design your house on a dime! $178… Woah! I don’t think so! 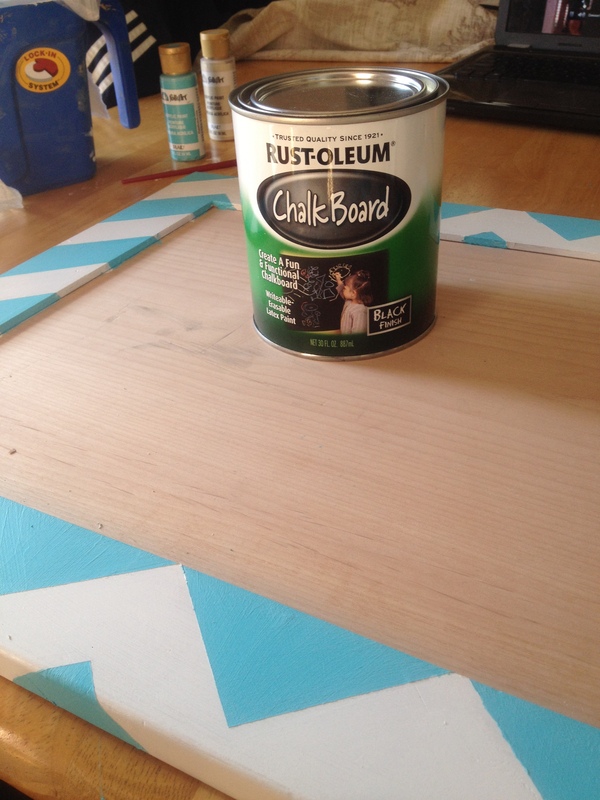 Luckily chalkboards are super easy and inexpensive to make and they look just as good. For this project I used a cabinet door from Bud’s Warehouse and was able to complete this project for under 20$! 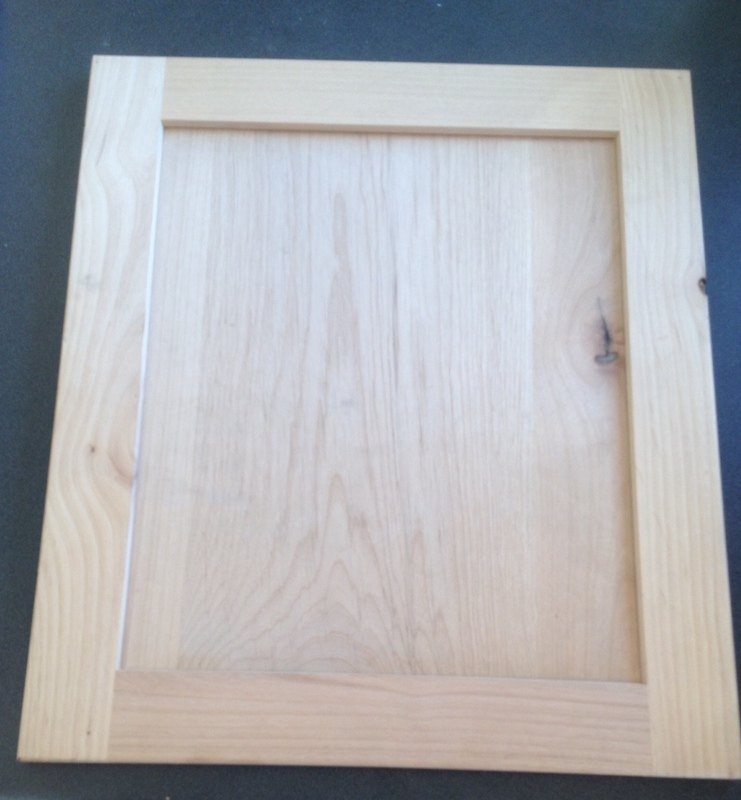 Step 1: Start with a clean or sanded down cabinet door from Bud’s Warehouse. 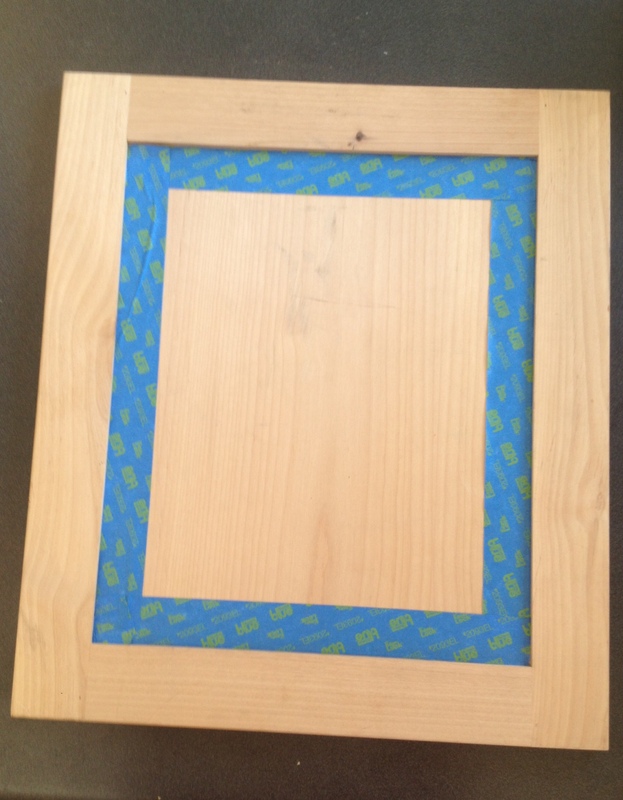 Step 2: Apply painters tape to the inside edge of the cabinet door to prevent decorative paint from getting onto the designated chalkboard area. 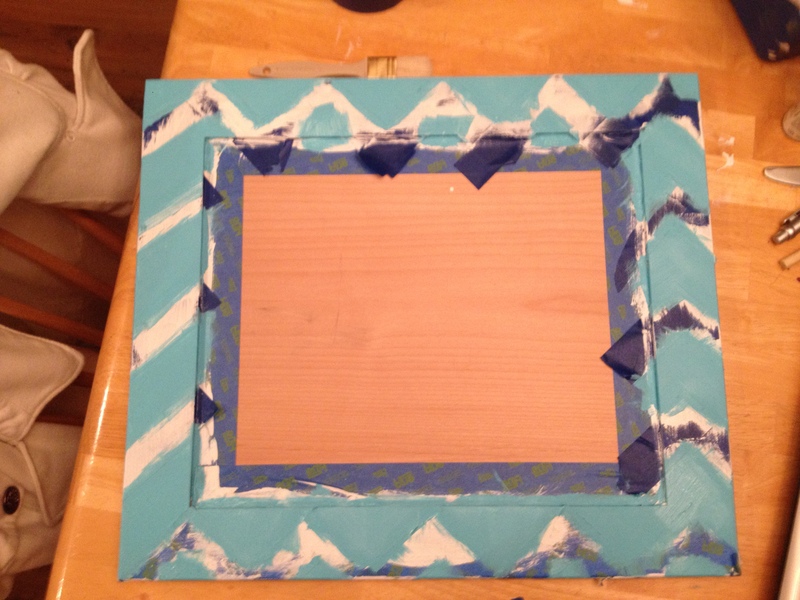 Step 3: Paint the outer edge in whatever way you like! 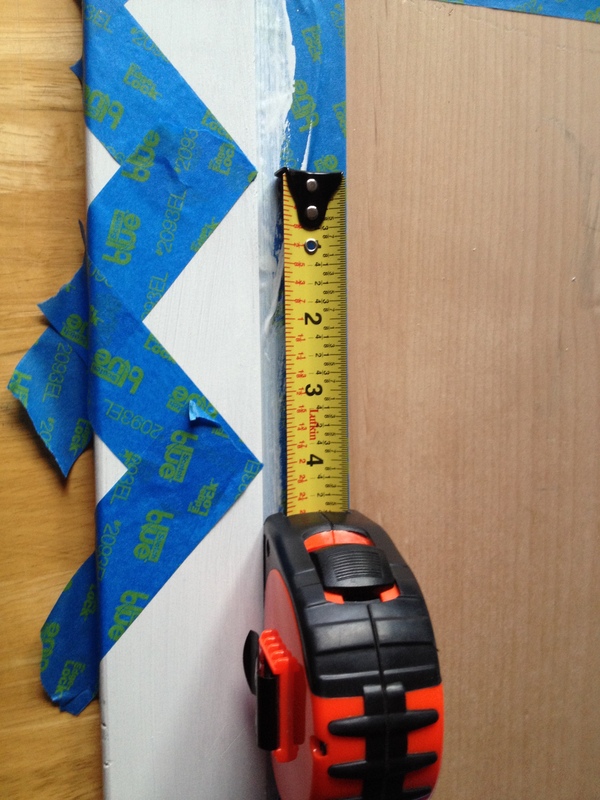 You can do a plain border or a decorative border (I chose to do a chevron border which can get a little complicated – essentially I used ALOT of painters tape and measured my life away). 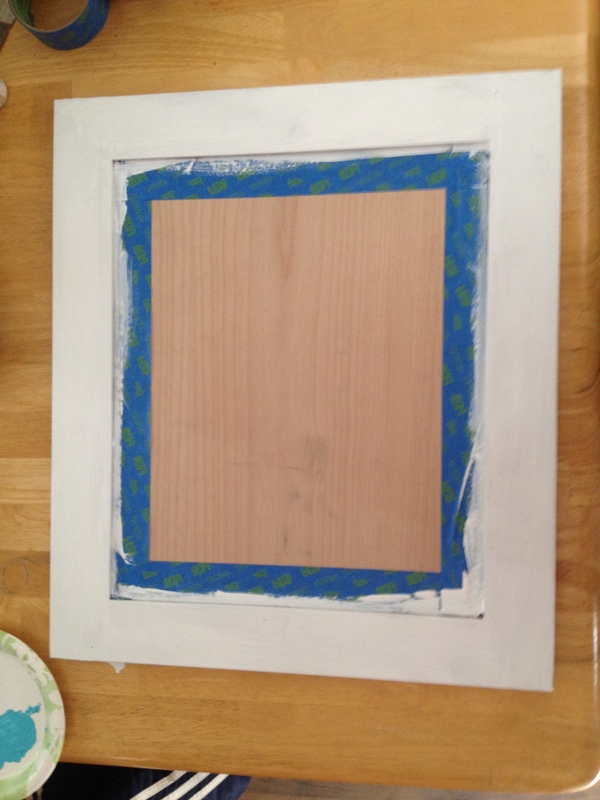 Step 4: Once the outside paint is dry you are ready to paint the chalkboard part. For this chalk board, I tried the brush on paint (I found out this is not my preference because it tends to leave brush strokes even though it goes on cleaner). I prefer aerosol because it looks better and doesn’t show brush strokes but you will need to cover the outside painted portion so that the chalkboard paint does not mess up all of your pretty work! 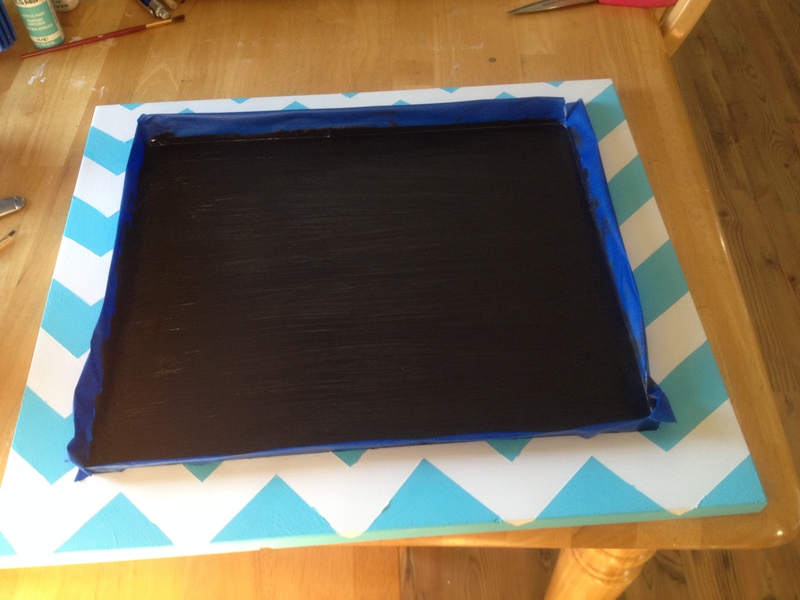 Step 5: Once your first coat of chalkboard paint is dry, you will need to put 3-4 more coats on for a good chalk board surface that won’t rub off. Step 6: Nail your picture hangers into the back of the chalkboard once dry. Step 7: Step back and admire your work! TIP: For best writing on the chalkboard, I prefer chalk markers to actual chalk. You can pick up chalk markers from Michael’s or any craft store in various colors and it washes off just as easy! Thanks for checking us out. 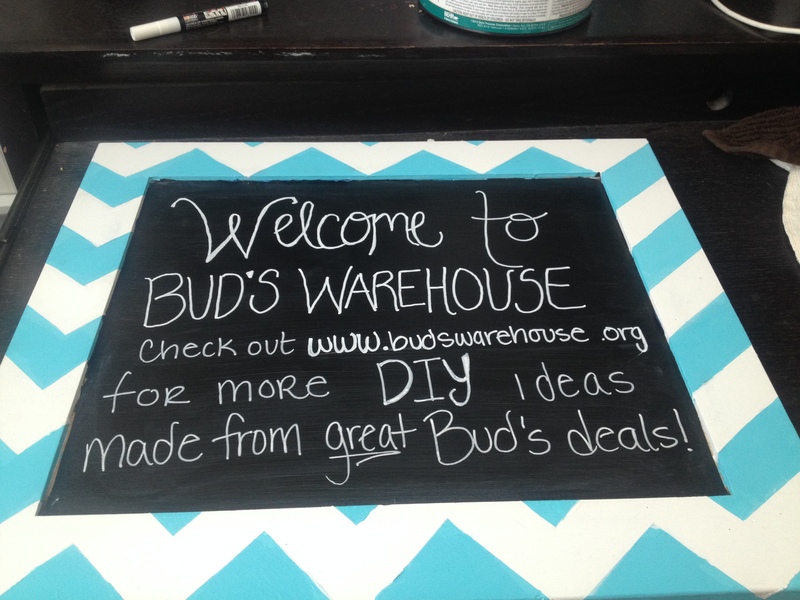 Stop by Bud’s Warehouse for all of your DIY needs!